Hi, my name is Greg Droman. I've had the privilege of mixing, engineering, and producing hit singles and albums for some of the biggest artists in pop, rock, and country music. I've been Grammy and ACM nominated, winning a CMA as producer for Album of the Year. It's become easier than ever in this digital age to collaborate with someone thousands of miles away. My goal is to make it easy and fun for you to work with me. With my web site, I'd like to show you some of the projects I've done and artists I've worked with, play you some of my mixes, and entice you to consider me for your next project! Please check out my site... there's a lot to see and hear! 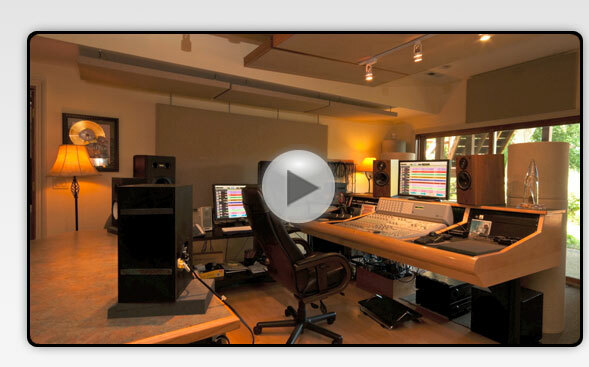 Click on the image above to view a video showcasing my studio and some of the talented artists I've worked with. I've long been a fan of Fleetwood Mac, both as a listener and also as a producer/engineer. For some reason it never dawned on me to look up the credits of who was behind the engineering. Today after listening to Big Love and Little Lies I googled it and your name came up. The mix is just beautiful. So much life! The stereo imaging is beyond my comprehension. How do you get such an incredible sound? I know that's not exactly an easy question to answer. Do you find it possible to get the same sound in the box as you do with outboard? Without ever knowing it, I'm a huge fan of your work. So, thanks for all the great music and inspiration! New Studio in a New Location! I'm excited to say I've moved to a great little town in Northern California and I'm mixing in my new studio there! I've also partnered with the local music store here and we're planning on building a very cool tracking/overdub/mix studio there. I've already met some really talented musicians here; please let me know if you need a track done, start to finish, with some of the best players in the country. Time for a 2015 update! I've been a bad admin for my own site; so much has happened since my last post! Most of 2014 was spent tracking and finishing 17 songs with Gary Allan. It will be our 10th album working together, and our 2nd as co-producers. The first single, "Hangover Tonight" is out now and making its way up the charts. In addition, I starting engineering the next Lionel Richie album. We cut 5 tracks, then Lionel went on tour. We should be back to it later this month (April 2015). Lionel is such an amazing singer and great guy to work with; I'm really looking forward to getting back in the studio with him. "Every Storm (Runs Out of Rain)" - the first single from Gary's new album "Set You Free", went to #1 on the Country charts. Then the album debuted at #1 on both Billboard's Country albums chart and its all-genre Top 200 Albums chart. I produced/engineered/mixed 4 tracks on the album, including "Every Storm", with Gary. What a great way to begin 2013! I just got back from a very exciting 17 days in NYC, working at Electric Lady Studios (Jimi Hendrix's studio) on a movie called "Can A Song Save Your Life?". The movie stars Keira Knightly, Mark Ruffalo, Hailee Steinfeld, Adam Levine, and Cee Lo Green. I was there mixing songs sung by Keira and Adam for both the movie and the soundtrack album. I think Keira has a really unique, sweet quality to her voice - her singing in this movie will surprise a lot of people! Look for the movie in 2013. It was written and directed by John Carney, who wrote and directed the great indy music film "Once". I finished co-producing/engineering/mixing 5 songs with Gary, and mixing 4 others. And just found out that one of the songs I produced with him, "Every Storm Cloud", will be the first single! I think this is a great album for Gary and it was a blast working with him - on our 9th album together! What can I say? Brilliant! You're brilliant! I love how it's sounding! The effects and balance are simply perfect! Congratulations on your great job! I'm very honored being able to work with you!